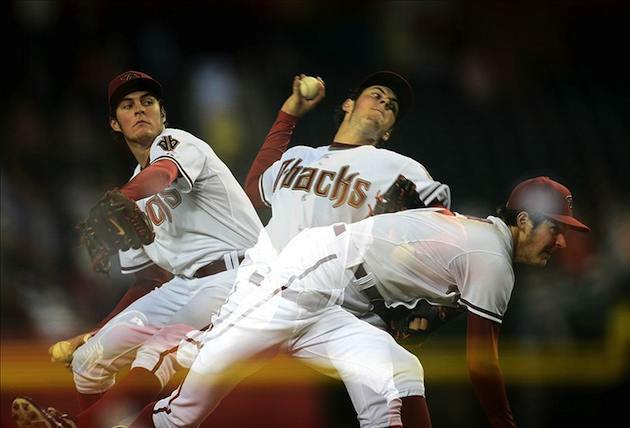 The Diamondbacks look like a completley different team late in the season as they push for a wild card spot in the playoffs with a late offensive push. The Dbacks get a huge contribution from new comer Adam Eatonwho didnt wait long to make an impact to his new team batting in the lead off position has added some spark to this order in production and speed. Eaton’s speed is something to see and has gotten much attention lately by scouts and the social media world. The scouts now adapt a prevent defense for Eaton and basically put the infielders in bunt defense because if he hits a ball to an infielder who has to move for the ball they dont have time to throw him out. Eaton was clocked at 3.83 seconds from contact to first base by scouts yesterday in an at bat he wasnt in what they call “jail Break” mode. Nick Piecoro of azcentral.com says “EatonCan Fly”. Adam Eaton can be found on twitter @AdamSpankyEaton where he has got much attention in regards to his speed, like teamate Ryan Wheeler with his Parody Twitter account for his Hair @WheelersMane and JJ Putz @JJsSoulPatch or @ZagurskisBelly Eaton has a Parody Account called @SpankySpeed6 dedicated for his speed. In Eaton’s first at bat he would showcase his hitting skills driving a ball up the middle for a base hit. 2 batters later Jason Kubel would blast his 28th home run on the year scoring Adam Eaton. Eaton has a 4 game hitting streak and has scored 5 runs.The Padres would answer with 2 runs of their own in the 1st on 2 singles and a double tying the game at 2-2. The hitting would continue in the 2nd for the Dbacks as well as the scoring when Justin Upton singles to CF and Chris Johnson doubles. Jake Elmore would ground out but would get the RBI when Johnson scored making it a 3-2 ballgame. In the 3rd Aaron Hill would launch home run #22 on the year and Jason Kubelwould go BACK to Back with his 29th home run and his 2nd of the game make it a 5-2 game. 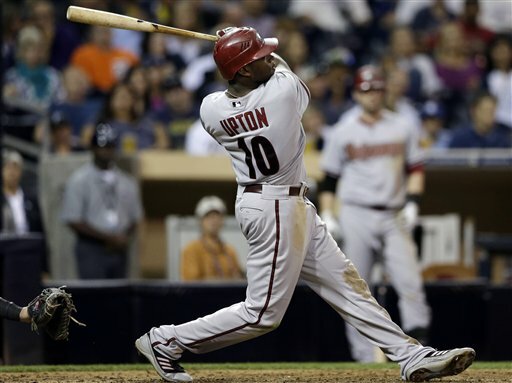 After Kubel clears the bases the Dbacks put 2 more on with Paul Goldschmidt single and Justin Upton single. Jake Elmore with a single to left field scores Goldschmidt to break this game open 6-2. 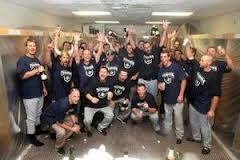 In the 3rd inning the Padres would go quietly. 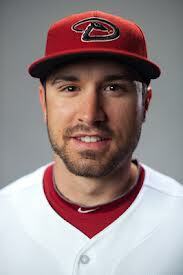 Adam Eaton would single on a ground ball to CF in the 4th but that would be the only hit of the inning for the Dbacks. the Padres would get 2 runs on a single and a home run by Logan Forsytheto bring the Padres within 2. Juston Upton would hit a monster home run over the batters eye in center field to get 1 run back and go up 7-4. 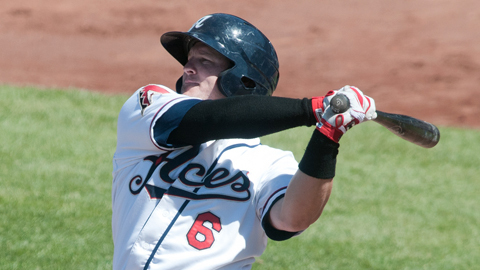 Chris Johnson would single before Jake Elmore would collect another hit on the night. with 2 singles by the Padres in the 6th would get another run after Chris Denorfia hits a double making it a 7-5 game. in the 7th for the Dbacks Upton singles on a line drive to CF and Chris Johnson would walk but would get stranded on base. in the top of the 8th Gerardo Parra would lead off with a single to LF and then Adam Eaton would do what he does best. Eaton would take a 2-1 pitch and slap bunt it toward 3rd base and scorch the base path and get a single his 3rd hit of the night boosting his average to .381. After Kubel was walked Miguel Monterowould get a RBI on a walk making this a 8-5 ball game. 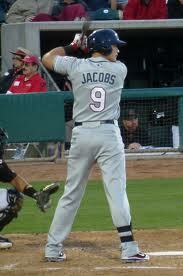 The Dbacks would go on to win this game on a score of 8-5 on the night. How does the smallest man in baseball out jump 2 guys? Behind the numbers: Adam Eaton 3 for 5 1 run scored, Jason Kubel 2 for 4 with 2 home runs and 3 RBI’s, Justin Upton 4 for 5 with 2 runs scored. Jake Elmore 2 for 5 with 2 RBI’s. 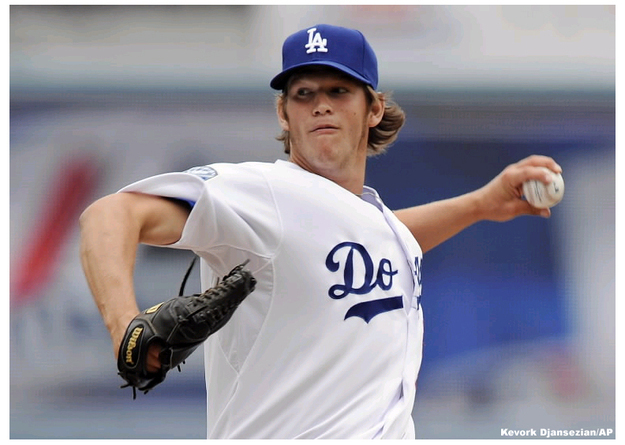 Wade Miley goes 5 1/3 innings giving up 5 runs on 8 hits gets the win. JJ Putz with 29th save. 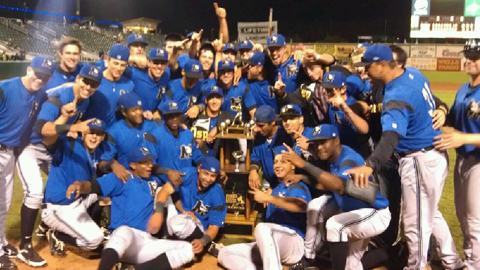 In game 4 the Reno Aces could clinch a spot in the Championship game but it would not go as planned. The Rivercats would jump out to a 3 run lead in the 2nd inning on 2 singles and a home run from Blake Lalli. The Aces would battle back in the 4th by adding 2 runs on a Josh Bell double followed by a Mike Jacobs single and Brent Clevlen single. 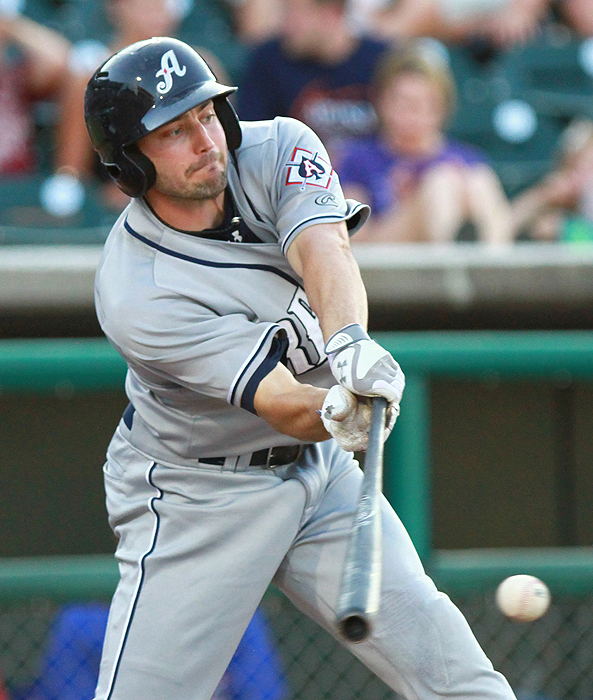 The Aces would tie it up in the 7th on 2 singles and a sac ground out by AJ Pollock. 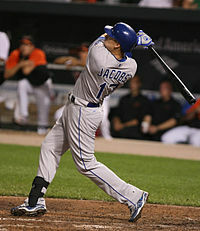 This game would remain scoreless until the 10th when Jonathan Albeladajo gave up a home run to Daric Barton which would not be answered by the Aces. 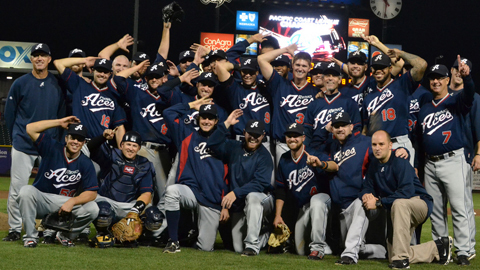 The Rivercats force a season ending Game 5 on sunday. 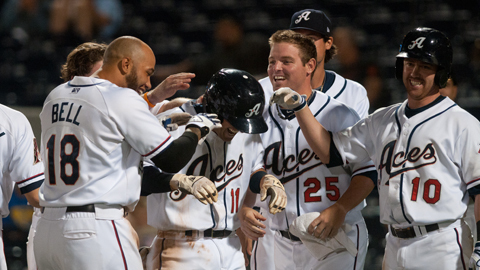 The Aces look to Brett Tomko to get the Aces to the Championship series while the Rivercats turn to Sonny Gray. The Mobile Baybears would dominate this game from start to finish adding 2 runs in the 1st, 1 in 3rd, 2 in 4th, 3 in 6th and 2 more in the 7th to finish this game winning 10-2. the Biscuits never in this game loose but live to see tomorrow. 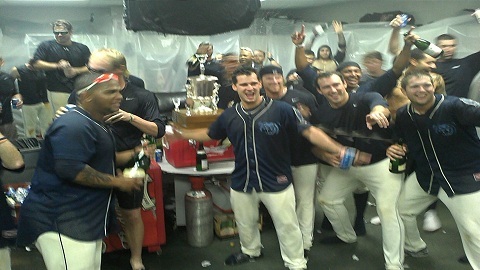 Every player for the Baybears record a hit and 6 players record 2 hits. 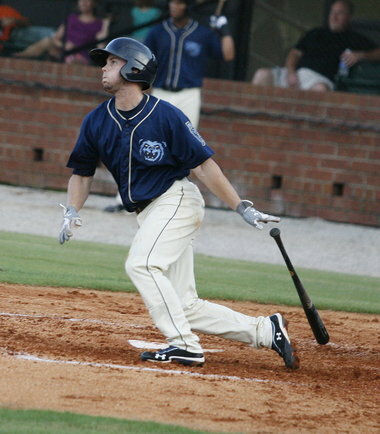 Matt Davidson goes 2 for 4 with 1 double and a home run leads the Baybears. Bradin Hagens gets the win 7 innings pitched 0 runs and 6 hits. 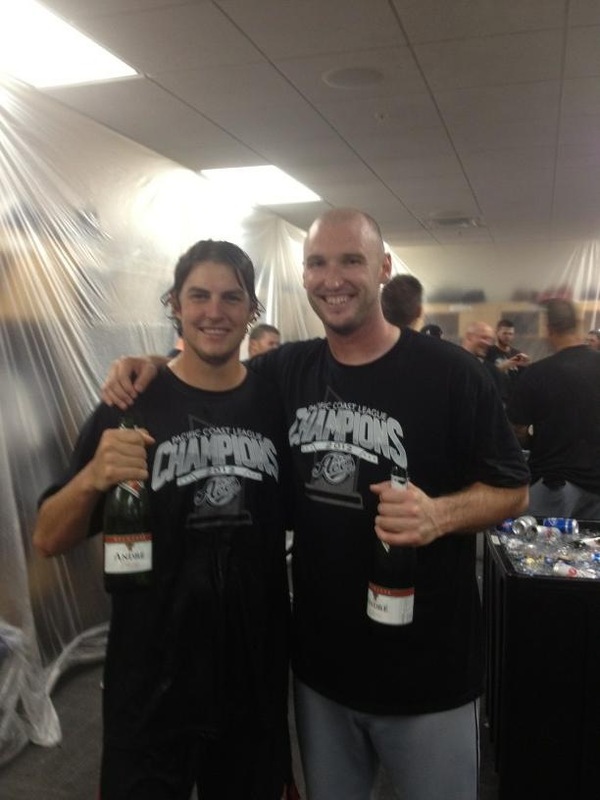 The story of the day today in San Francisco is all about Trevor Cahill and Rookie sensation Adam Eaton of the Diamondbacks. Trevor had a NO No going into the 6th inning that was threatened when Adam Eaton flashed some leather and speed to go back on a ball hit deep by Xavier Nadyand make a SportsCenter Top 5 Web Gem diving catch on the most difficult type of catch to make. Adam Eaton did it all in this game for the Dbacks. He started the game for them with a much needed spark when he took the first pitch of the game up the middle for a base hit . Aaron Hill would be out on a ground ball to SS Brandon Crawford, with Eaton’s speed Crawford had no chance of the double play. Justin Upton would then Walk and Paul Goldschmidt would line out to Crawford. 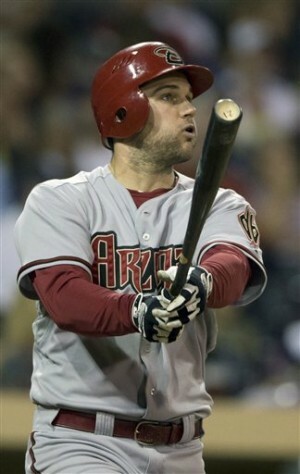 Miguel Montero would reward Eaton’s hustle with a RBI base hit to center field, Eaton would score and the inning would end 1-0 Dbacks on a strike out by Chris Johnson. Eaton would come up again in the 3rd and would hit a soft grounder to the Pitcher Bumgarner and nearly gets a hit out of it with his wheels. This at bat for Eaton would change the way the Giants would play defensively on him the rest of the game. The Giants would basically play Eaton as if he were bunting because they know he will beat out a hit to the infield with his speed, i have never seen a team do this on a guy who wasn’t obviously bunting. Chris Johnson would triple on a ball smashed to center field and 2 batters later John McDonald would score him on a sac fly. In the 6th inning Eaton would prove his worth defensively for the Dbacks tracking a ball by Xavier Nady fly out and would save the No hitter that Cahill had going by the diving catch shown in the picture above. In the 7th inning Adam Eaton would strike again when he hit a infield single to SS Brandon Crawford Who was playing in a little but still couldn’t get Eatonout at 1st. Aaron Hill is going to love having the Speedy Eaton hitting in front of him because after Eaton’s single Hill would hit a double to left field and Eaton would show all of MLB just how fast he is scoring from 1st and Hill would advance to 3rd on a throwing error by Brandon Crawford. 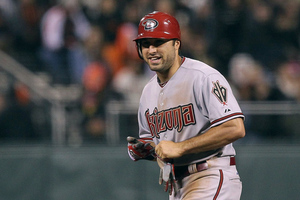 Paul Goldschmidt would collect a RBI single as Hill Scores from 3rd and the Dbacks would lead 4-0. After a pitching change Chris Johnson would double and score Goldschmidt and Montero making it a 6-0 ballgame after 7 innings. Brandon Belt would belt a single into right field that would score Marco Scutaro and Buster Posey which would be the only productive offense this game for San Francisco. 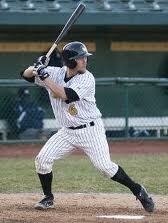 In the 8th things would get interesting as John McDonald would single followed by a Ryan Wheeler single. Adam Eaton would come up to the plate and with the infield playing “Bunt Defense” because of Eaton’s speed he hits a high chopper to first baseman Brandon Belt, Belt knowing he isn’t going to double up the Scorching Eaton decides to try and throw out the lead runner at 3rd base, Pablo Sandoval would be in the base path and McDonald stumbled when he got caught between a head first dive and a foot first slide and ran into Sandoval. Pablo Sandoval thought McDonald went in high with elbows intentionally and and charged McDonald in the 3rd base coach box area. This reaction ended up clearing both benches into a 2 minute scuffle on the field. No punches were thrown just some chest bumping and some colorful language was used and the players return to the dugouts. Meanwhile Eaton is on 1st and Ryan Wheeler is on 2nd with 1 out, Aaron Hill and Justin Upton would both fly out to end the inning. The game would end 6-2 without any more offense from either side. The Giants were 4 for 28 on the night and left 3 men on base. 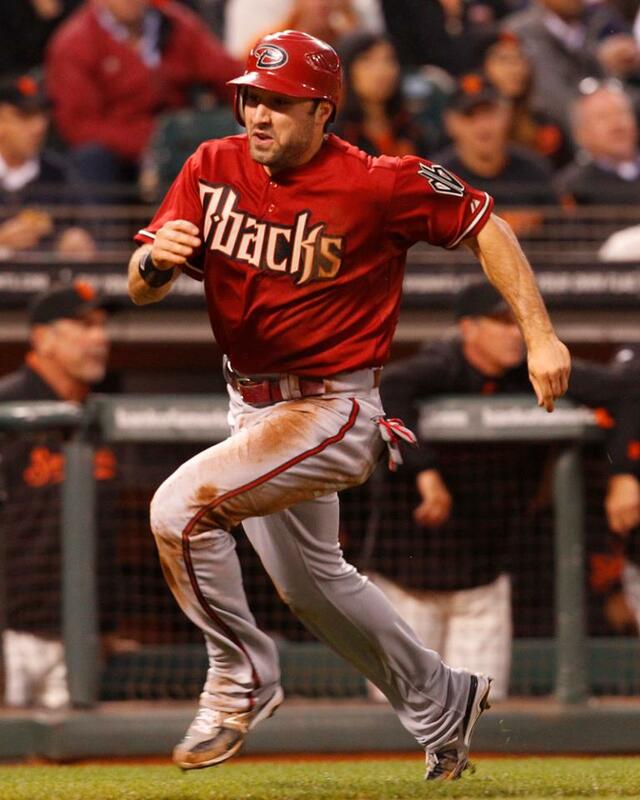 Marco Scutaro would go 2 for 4 while Brandon Belt was 1 for 4 with 2 RBI’s. For the Dbacks Adam Eaton was 2 for 5 with 2 runs scored making him 4 for 11 with 3 runs scored in his first 2 Major League games batting .364. four players would collect 2 hits a piece (Goldschmidt, Montero, Johnson, and McDonald) and the Dbacks collectively go 13 for 41 on the night. Trevor Cahill would improve to 10-11 on the year and go 6 1/3 innings allowing 2 runs on 2 hits. Madison Bumgarner gets the loss for the Giants and drops to 14-10 on the season. Side Note: The Giants loose the series 2-1 and the LA Dodgers loose as well so the 4 1/2 game lead remains as the Diamondbacks look to climb back into the wild card race with a few more wins and some help. 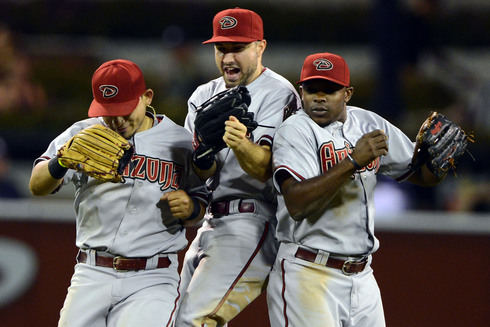 The Diamondbacks have the day off today and face the Padres in their next Series. 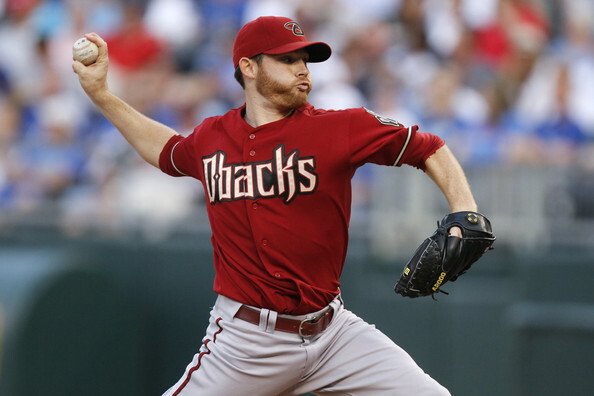 A struggling Diamondbacks team loosing their last 3 games would make things worse by loosing their starting center fielder Chris Young to a calf strain probably out 3-7 games… Or was it a blessing in disguise? 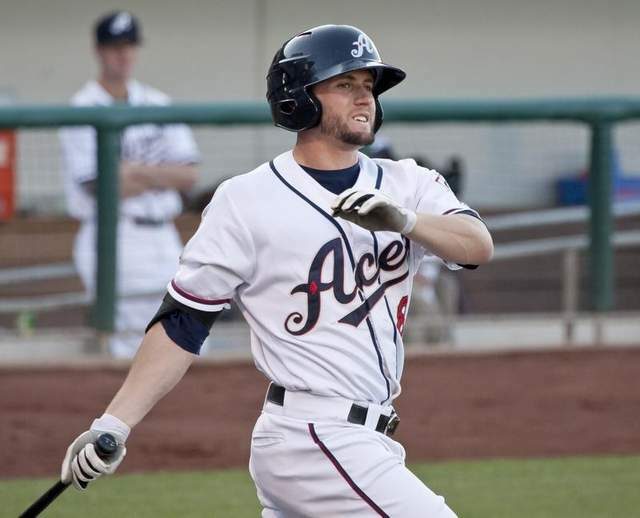 In light of the injury to Chris Young the Diamondbacks would call up Adam C Eaton from AAA Reno Aces a left handed center fielder with some of the most impressive numbers the Pacific Coast League has ever seen. Fresh off of a All-Star Selection, PCL Rookie Of The Year Honors, PCL Most Valuable Player Honors, and the PCL Batting champion Adam Eaton comes in as an Underdog. Underdog you say? Adam gets a call on sunday from the Farm Director Mike Bell To tell him he was getting called up Adam was ecstatic running through the house. He was told to report to the team immediately as he would be in tuesday nights game. Adam could not catch a flight out of Reno so he jumped in a car with his Fiancee Katie and they drove to San Francisco just in time for team batting practice. Adam was told he would be batting lead off and playing center field, all his hard work finaly paid off, his dream of becoming a pro baseball player was finely a reality. The one thing people told him he couldn’t do because of his size he proved them wrong but they still doubted him saying ” he wouldn’t be able to hit MLP Pitchers”. Gametime: Adam Eaton steps into the batters box the first time as a MLB baseball player and faces Giants Ryan Vogelsong a 12-6 pitcher in MLB and Adam would strike out swinging in the first matchup. In the 4th he would get another chance at Vogelsong and Adam would prove the doubters wrong once again smacking the ball deep to left field for a stand up double for his 1st MLB hit. As he got to second he called time and looked up into the stands saw his family & Fiancee and had the biggest smile on his face. Adam Eaton Smiles after his first MLB hit, a double. would go 5 for 5 with 2 RBI;s to lead all hitters in this game. 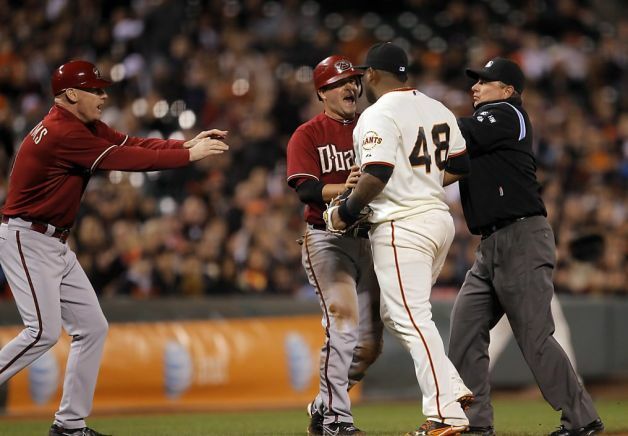 Josh Collmenter 4-3, would get the win for the Dbacks today and for the Giants George Kontos would be charged with a loss and drop to 1-1 on the Season. 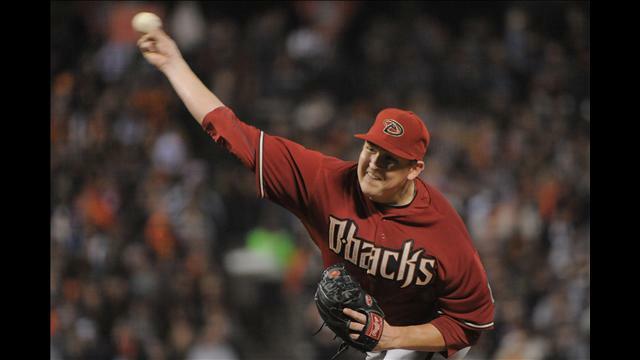 Preview Game 3 would showcase Trevor Cahill 10-10 VS Madison Bumgarner who is 14-10 on the season. Adam Eaton will return as the lead off batter in place of the still injured Chris Young who is out with a calf strain.